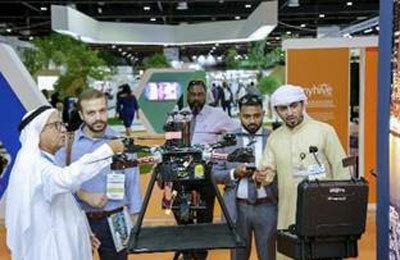 UAE-based Ejadah Asset Management Group said it has joined hands with Idama, the facilities management solutions leader, for the deployment of EVO4HSE drones technology and digitized cost saving solutions. Idama is one of the first in the UAE to use EVO4HSE drones in its goal to provide clients with premium services revolutionising the facilities and asset management industry as a whole. Key solutions that drone usage provides include 360° inspections to ensure availability, safety and reliability of the asset and bird’s eye views which help property owners/managers assess the sustainability of the business operations. A principal total community solutions provider, Ejadah said the application of data driven cost saving solutions have made a notable impact on the industry setting Ejadah and Idama apart. Revealing the latest technological advancements being applied to their services, the company stressed that this year, technology achieved a saving of more than Dh34.4 million in costs with the digitisation and optimisation of building environments. Additionally, the use of the advanced technology has reduced energy consumption by 25 per cent, said senior officials of Ejadah at the recent Building Automation and Maintenance Summit held in Dubai. Looking at Real Energy Data has also led to double the savings opportunities which was previously not detected using traditional Building Management Systems (BMS), they added. Ejadah’s report finding showed that 25 to 40 per cent of energy saving opportunities were missed due to a faulty BMS. The Building Automation and Maintenance Summit saw leading industry experts indulge in discussions on the strategy, technology and innovation for high performance buildings. Ejadah, as the title sponsor, also played a major role at the conference with its team showcasing the latest developments, to engage with peers and create new relationships. Ejadah said its technology utilises the world's most advanced meters, offering results that are within 99.8 per cent accuracy. More than 135,000 data points are monitored while 4.7 billion data sets are analyzed each year. "We are rigorously investing in research and technology to provide our clients with sustainable and efficient solutions with the aim of their benefit as well for the greater good of the country and global environment. Dashboards and meters alone don't generate savings," remarked Tarek Nizameddin, the senior executive director of Ejadah.